Attributing her lifetime of success to fate, being prepared, and keeping her eye on the prize, Carolyn Winstead Meyers enjoyed a long career as an academic administrator, mechanical engineer, and educator. She started out as a steam generator analyst in the Machinery Apparatus Operation Division of General Electric in 1968 and as a systems analyst in the Information Services Division of General Electric in 1969, and steadily progressed from there. From 1972 to 1977, Dr. Meyers served as an instructor at the Atlanta University Center Consortium, and from 1979 to 1984, she served as an instructor of mechanical engineering at Georgia Institute of Technology. She proceeded to serve the latter institution as an assistant professor, associate professor, and associate dean of research for the College of Engineering. Other notable positions include director of the SUCCEED Coalition at the Center for Professional Success, dean of the College of Engineering, professor of mechanical engineering, vice chancellor of academy affairs and provost at North Carolina A&T State University, and president of Norfolk State University. Her final role before ending her professional journey was president of Jackson State University. Now in retirement, Dr. Meyers focuses her time on hobbies like crocheting hats, reading, and writing, as well as volunteerism. 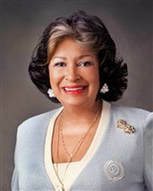 She is currently a member of the board of directors of the National Institute of Aerospace, an affiliate of Cone Health, a member of the board of directors of the Piedmont Triad Council of International Visitors through the North Carolina School of Science and Mathematics, and a member of the Division of Human Resources Development through the National Science Foundation. Previously, she was an affiliate of United Way of Greater Greensboro, the program director of the Undergrad Education Division of the National Science Foundation, a trustee of Westminster Schools, the chairman of the Waste Volume Reduction Subcommittee of the Mayor’s Commission on Solid Waste Disposal, a member of the Research Triangle Institute, and the chairman of MentorNet. ​To prepare for her endeavors, Dr. Meyers earned a PhD in metallurgy and a Master of Science in mechanical engineering from Georgia Institute of Technology in 1984 and 1979, respectively, and a Bachelor of Science in mechanical engineering from Howard University in 1968. She ensured that she kept up with developments in her field through affiliation with organizations like the American Foundrymen’s Society, the American Institute of Mining, the Society of Black Engineers, the Society of Women Engineers, the American Society of Engineer Education, and the American Society of Mechanical Engineers, among others. Dr. Meyers received numerous accolades for her efforts over the years. She was an honoree of the Emerald Honors Women in Science and Technology through the Society of Black Engineers in 2003 and the winner of the Golden Torch Award from the Society of Black Engineers in 2002, as well as an honored alumna in education on charter day at Howard University in 1997. Notably, Dr. Meyers was inducted into the Academy of Distinguished Engineering Alumni at Georgia Institute of Technology in 1996, and earned the Aluminum Division Scientific Merit Award from the American Foundrymen’s Society in 1994, the Distinguished Alumni Award from the Atlanta-Howard University Alumni Association in 1992, and the Faculty Award for Women from the National Science Foundation in 1991. In 1990, she was named Engineer of the Year by the American Society of Mechanical Engineers and Black Engineer of the Year in Higher Education by the American Society of Mechanical Engineers. Dr. Meyers also holds the 1988 Presidential Young Investigator Award from the National Science Foundation and the 1986 Ralph Teetor Educational Award from SAE International. Her achievements were highlighted in various editions of Who’s Who in America, Who’s Who in Science and Engineering, Who’s Who in the South and Southwest, Who’s Who in the World, Who’s Who of American Women, Who’s Who in American Education, and Who’s Who of Emerging Leaders in America.